Are you a one- or a two-spacer? If you learned to type on a typewriter, you probably learned to put two spaces after a period. On this week’s edition of That’s What They Say, host Rina Miller and University of Michigan English Professor Anne Curzan discuss the online debate raging about the number of spaces to place at the end of a sentence. Many “two-spacers” have been typing this way since they first approached a typewriter in grade school. Some were taught that a double-space makes writing more legible. However, today many standard style guides, including Modern Language Association and Chicago, require one space. While some writers are arguing over spaces, others can’t decide what to capitalize. For example, when writing “President Obama,” should the “P” in president be capitalized? Either is correct according to different style guides. Even if we cannot settle the capital “P” debate, our language has shifted away from capital letters. In the 17th and 18th centuries, writers often capitalized a noun they wanted to stress, making English look a bit like German. What kind of a spacer are you? Where did these “effing” euphemisms come from? We have found many ways to say curse words without actually saying them. 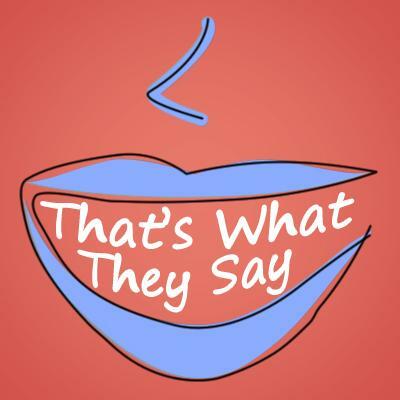 On this week’s edition of That’s What They Say, host Rina Miller and University of Michigan English Professor Anne Curzan discuss euphemisms for taboo words. The presence of euphemisms shows how impactful words can be. Curzan describes, "Words are enormously powerful and they can do a lot of damage, which is why with some of them, we find ways to get around actually saying them." One of the first English-language euphemisms for a taboo word was "criminy," which showed up in 1681. Speakers used this word to avoid saying "Christ." The origins of "gee," as in "gee willikers" or "gee whiz," are less clear. Some linguists believe these euphemisms came from "gee willikens" as a substitute for "Jerusalem," which was a common exclamation of surprise in the 19th century. Spendthrifts are more spendy than thrifty, so the word spendthrift doesn’t seem to make much sense. This week on That’s What They Say, host Rina Miller and University of Michigan English Professor Anne Curzan discuss the seemingly oxymoronic word spendthrift. While thrifty refers to being economical with money, spendthrift means the exact opposite—someone who spends money irresponsibly. Curzan explores the etymology of thrifty to get to the bottom of spendthrift.